Edited 14 time(s). Last edit at 2014-06-03 09:55 by kowalski. (Let's Spend the Night Together ...) Chuck is having a great time in this piano dominated tune. Updated with Start Me Up & Sympathy For The Devil HD videos. Beginning of 17/BS here [www.youtube.com] with Keith "all over the place" unfortunately. So now instead of "Scarf Me Up" it's "Blind Sugar"
I was going to say thanks to Kowalski for doing this - but I guess that's a useless comment. 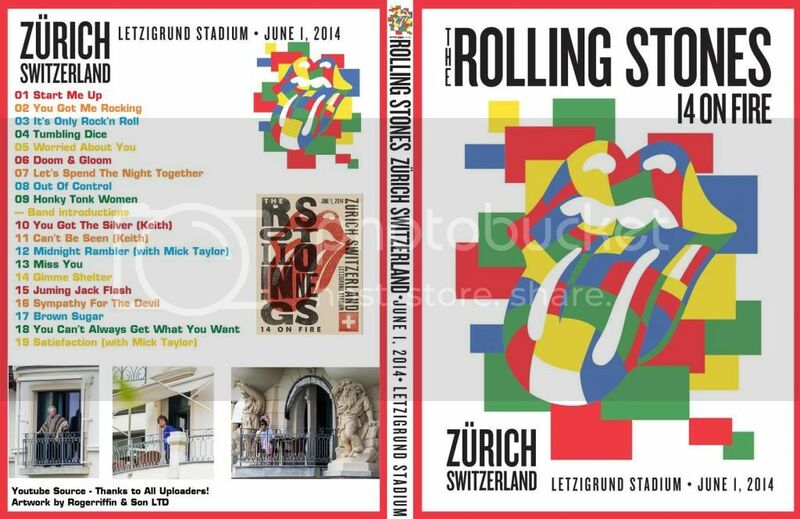 I posted a link to a nice compilation with a couple of minutes of Rambler in the Zurich thread. Keith was ready to start the bridge on BS instead, LOL! Can´t be seen the "Can´t Be Seen" from 2014 tour... from Zurich its already all the song on youtube except this. Updated - Only "Can't Be Seen" video is missing. Edited 1 time(s). Last edit at 2014-06-02 19:42 by kowalski. Full show in video now complete. Thank you for getting all of this together, and for embedding them without the httpS!! I can hit play all the way down the page. Woohoo! If I had a nickle for every time the intro to BS was screwed up! soon available to share here!!! I am a minority love YGMR... Ronnie was great here. Thanks kowalski for starting the video thread! Thanks in advance rogerriffin for the dvd!